I finally climbed Ob(servation) Hill three days ago. It was a beautiful day. The summit of Ob Hill is notoriously windy, but when we made it up there, the wind was calm and the air peaceful. Both of our flight opprotunities to Siple Dome were cancelled. The first one was scheduled for Friday. The second one for Saturday. There are no flights on Sunday and ANITA would be at Siple Dome by Monday. So we cancelled any and all trips to Siple Dome this season. As usual for these trips, I'm feeling antsy. But this time around, the feeling is warranted. 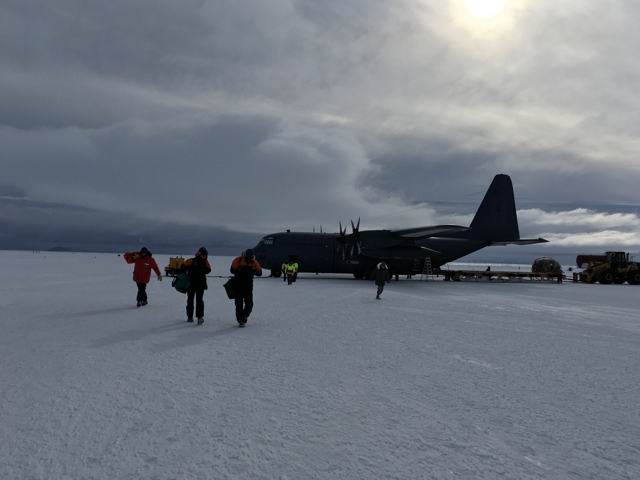 ANITA launched on Dec. 2 UTC, the same day I started my journey to McMurdo. 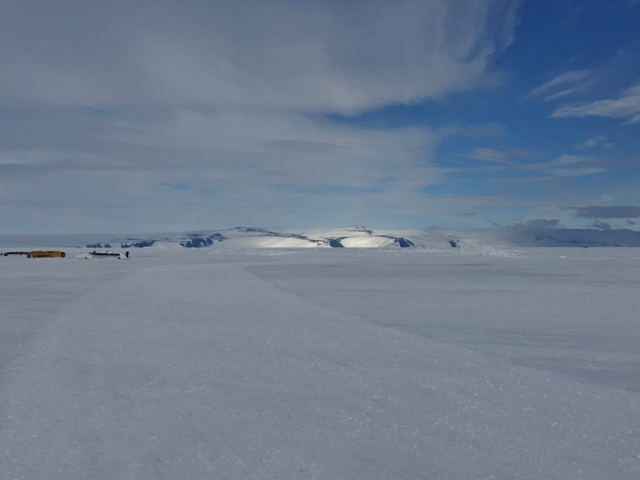 Mountains near the Pegasus landing site on the Ross Sea. The Hercules LC-130, flown this time by the New Zealand Air Force. 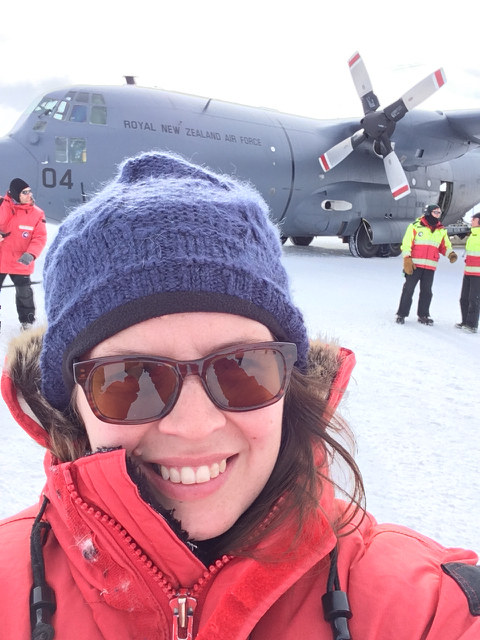 Me delighted to get off the Herc. Last time I wrote, we had just lowered our pump down our borehole in the hopes of raising it back out again. A lot's happened since then. Among our first tasks here at Summit Station is to pump fluid out of a borehole. Typically, when climate scientists and glaciologists drill for ice cores, they backfill the holes with fluid for a couple of reasons. 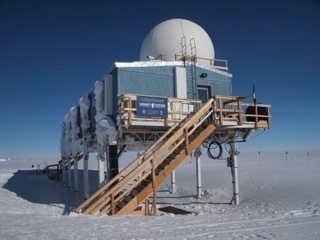 Today is my second day at Summit Station, which is right in the middle of the country, up at 10,530 ft on the ice sheet. Arrived today in Kangerlussuaq, Greenland. I’ll be here at least until Sunday. Then I’ll be headed up to Summit Camp, where there will be about 45 other people. Nice write up in symmetry magazine today. Hang test complete, next stop space! How high can the universe accelerate particles and how does it do it?